Magicians have attempted to walk through playing cards almost as long as there have been magicians performing with cards. The effect was made popular by the 19th-century Scottish magician John Henry Anderson, the "Great Wizard of the North." Anderson would place a playing card selected by a member of the audience over a card-sized hole in a partition between two compartments in a large wooden cabinet. A committee of audience members would examine the cabinet before Anderson entered one of the compartments. His assistants would close the cabinet doors. A moment later, Anderson would emerge from the other compartment, having walked through the playing card. Anderson abandoned the effect following a performance in Aberdeen in 1841, when an audience member selected the Ten of Clubs. Anderson entered the cabinet, but failed to emerge from the other compartment in the usual amount of time. After considerable delay, his assistants opened the cabinet, only to find that the performer was in neither compartment. A quick-thinking assistant carefully removed the playing card from the cabinet and placed it in Anderson's dressing room at the theater. Within the hour, Anderson appeared in the dressing room, somewhat worse for the experience. He explained to onlookers that he had become lost within the thicket of tree-like club pips on the card. He never attempted the feat after that, and was said to have acquired an aversion to the entire suit of Clubs as well. American magician Harry Kellar picked up the effect where Anderson left off. In the early part of the twentieth century, Kellar occasionally performed a version of Anderson's feat using a massive steel plate, six feet by eight feet, to hold the card. Loose drapes concealed both faces of the plate, but the edges showed beyond the drapes, making it impossible for Kellar to simply walk around the wall of steel without being seen. 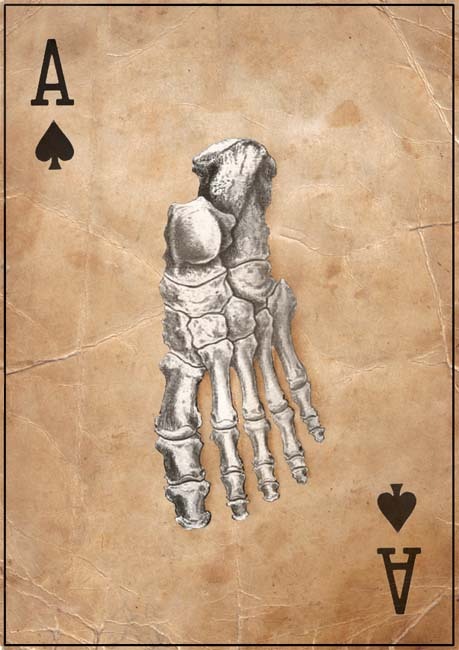 Kellar favored using a playing card that he had selected, rather than one chosen by the audience, typically using court cards like the Queen of Hearts.